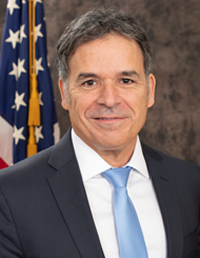 EDGARTOWN, MA, Feb. 8, 2019 – Innovative Publishing Co., publisher of Food Safety Tech, has announced that Frank Yiannas, deputy commissioner for food policy and response at FDA, will serve as the keynote speaker to kick off the 2019 Food Safety Consortium Conference & Expo on October 1. The Consortium is the industry’s leading food safety event for networking and educational opportunities, and takes place October 1–3 in Schaumburg, IL (just outside Chicago). 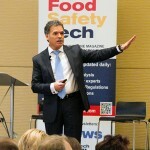 What’s all the buzz about food safety culture? 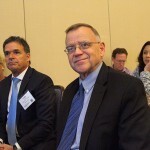 Watch the videoYiannas recently took the reins in FDA’s lead food safety role following the retirement of Stephen Ostroff, M.D. 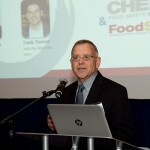 He was previously the vice president of food safety at Walmart and has been a strong proponent of elevating food safety standards within organizations and implementing a food safety culture. This year’s Food Safety Consortium Conference & Expo features three breakout tracks: Cleaning & Sanitation, Food Safety Testing, and Food Safety Management. The call for abstracts is open until May 16.